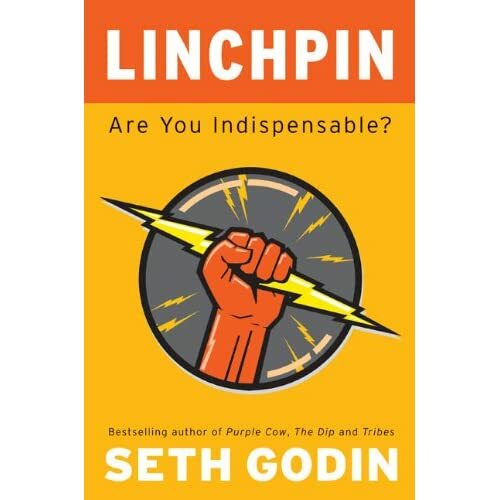 Last week I listened to Seth Godin’s audiobook Linchpin. It really resonated with me and I had a few significant insights. If I sell you something, we exchange items of value. You give me money, I give you stuff, or a service. The deal is done. We’re even. Even steven, in fact. If I give you something, or way more than you paid for, an imbalance is created. That imbalance must be resolved. If you have a particularly astute client/employer, you may receive additional work and referrals as a consultant, or a bonus, raise, and/or promotion as an employee, but these are peripheral. Appreciation is the critical element for the recipient to experience**. If your gifts are not appreciated, the client/employer does not value what you have to offer and both of you should seek out more compatible relationships. So why give a gift? Personally, I give gifts because I want to create the best software I am capable of creating. Creating beautiful software, not just meeting requirements, is the very nature of craftsmanship. Beautiful software is a gift. I can’t write software without gifts. I am actually repulsed by the thought of merely delivered what was asked for since the requirements are always missing something. Yes I’m repulsed. It reminds me of those Mad magazine comics; ‘If kids designed their own xmas toys’. With few exceptions, the results would be horrendous! Unfortunately, I’ve noticed a downward cycle with the reception of my software gifts. I’ve noticed when starting a new position, gifts are recognized and appreciated. You are ‘the man’ (or woman) and everybody is ecstatic with every gift. However the appreciation always seems to dissipate. Maybe it’s a ‘familiarity breeds contempt’ type of thing, or perhaps it’s just me (but I don’t think it is). Worshiped – You are new with the client/employer and your gifts are truly unexpected, recognized as such, and are appreciated. You get thanked a lot by every recipient. Valued – You’ve been here for a while, and although these above and beyond tasks are appreciated, they’re not exactly unexpected anymore. You don’t get thanked much, but they realize you are a valued service provider. Unappreciated – Your gifts are expected and/or unrecognized, but unappreciated any way you slice it. Tolerated – Your gifts are viewed as a time consuming waste of effort, but tolerated. You continue to provide them out of a desire to do a good job. Rejected – Your gifts are rejected and no longer tolerated. Every suggestion of doing something with additional benefit is rejected. The transition from Valued to Unappreciated is your cue to leave. This is a downward slide, and it’s unlikely that things are ever going to move back up to Valued***. You are in a great position to find other work, you have plenty of time to find the ideal next job or project, and you are leaving on a high note with a favorable memory still in their minds. However, you do need to be objective in your observation, your gifts may still be recognized and appreciated, but the feedback you are receiving is based on another pressing issue at the company and is misleading. If you’ve moved to Tolerated or Rejected; you have completely missed your cue to leave and there is an obviously serious disconnect between what you are offering as a gift and what management perceives as valued. Regardless of the reason, both you and the client/employer might need to seek more compatible relationships***. So what if the problem is not in the ‘perception’, but you have actually become complacent and are no longer delivering the gifts? If this is the case, you had better get back on track, because these gifts are your value added proposition and the only thing separating you from the lowest cost outsourcing alternative. EDIT (03/08/2010): Ben Alabaster added a great comment about how an IT department being viewed as a Cost Center or Profit Center will impact on how your gifts are perceived. *This is not a gift if the change took a significantly larger amount of time which the client did not agree to. ** The appreciation does not have to be communicated, but it must be felt by the recipient. *** It has occurred to me that gifts could be ‘adjusted’ to more closely align with what management values. However, I think this idea is flawed since your ‘gift’ is your best ideas at improving the software, where as management is mostly interested in features, which is completely different. Very insightful. It makes me wonder what little trinkets I’ve thrown in over the years that have gone completely overlooked or unappreciated and I’ve missed the cue. Thanks Ben, and yes, you do give gifts. You are very passionate about programming and desire to do an awesome job. I have little doubt you leave gifts. When a company sees development as a profit centre, then the little gifts are appreciated. There is added value in the product and the savings/revenues generated by the product are immediately reflected upon. This view is frequently seen by companies who are having a good time financially and are seeking to extend the benefit of their good fortune. However when a company falls on hard times, management frequently reverts to considering development as a cost centre. As pressure mounts and politics set in, managers have to fight harder for the recognition they deserve and in other cases to save face and avoid retribution. They start to point fingers to divert attention away from themselves when they’re asked to account for their shortcomings. @Ben, I agree that some companies see software as a cost center and others see it as a profit center. And it’s more fun to be seen as a profit center. But the whole distinction is silly. Is a cost center something that costs money? Well, everyone on the payroll costs the company money. Is a profit center something that produces profit? Then the only “profit center” is the customer base. Nobody inside a company produces profit; they only facilitate making a profit. That applies to sales just as much as accounting. @John Cook: The definition of a cost centre is a “non-revenue-producing” element of an organization vs. the definition of a profit centre “a segment of business for which costs, revenues and profits are calculated separately”. Sure, in many companies the software they’re selling is not being sold for profit but that doesn’t mean the software is not revenue producing in a sense. If the software is streamlining processes and reducing costs in other areas of the company, it is by definition increasing profit. If your code costs less to produce and maintain than the time taken by the person who was doing the job your code replaces then you have freed their time to do other tasks. Thus you have increased the profitability of the company. Thus, I disagree with your point. When developed wisely, software can indeed be a profit centre. Thus, I don’t find the distinction silly, but one worthy of at least consideration if not justification. @Ben, I agree that software can be “profitable” even if it is not part of a profit center in the accounting sense. My point is that the distinction between “cost center” and “profit center” is arbitrary. As you’ve said it could be either a matter of perspective, how management thinks about a department, or a matter of accounting, how a business chooses to calculate things. I think you could justify calling every department a cost center — they all have salaries and expenses — and you could justify calling every department a profit center — they’re all necessary to be in business and make a profit. I agree with your argument that software development has the potential to save a company money, and that means more profit. But I believe that applies to all other activities within a company as well. The bigger question is how does your company define ROI on software? Of course, you can’t ask this question without defining the perspective of the company: is this Microsoft or Jimbob’s Automotive? I’m no expert on the matter, but I’ve found it interesting that so many companies struggle with this. 4. Provides increased capacity or functionality to allow your business to grow.